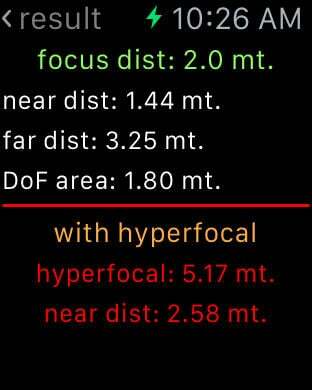 iPhotoPro give you a fast and easy way to calculate the depth of field (DoF) for your camera with your lens. The depth of field is the "acceptable focus area" that will let you know what you have on focus and what is not. Useful in "street photography" where speed and discretion are needed and the focus setting must be fast and accurate. 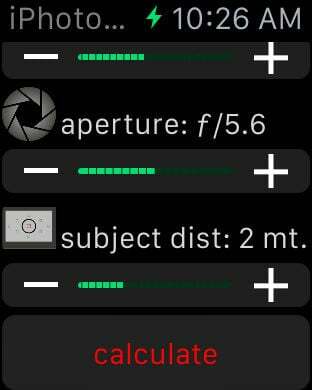 iPhotoPro also calculates and displays the hyperfocal distance (excellent solution both in the landscapes and sport or street photography). 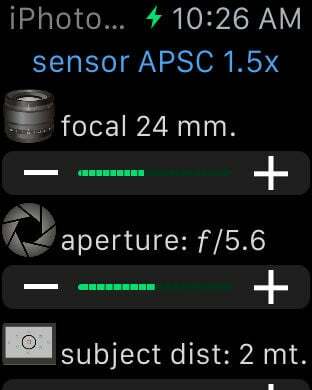 iPhotoPro also stores your last settings, even after restarting your device.